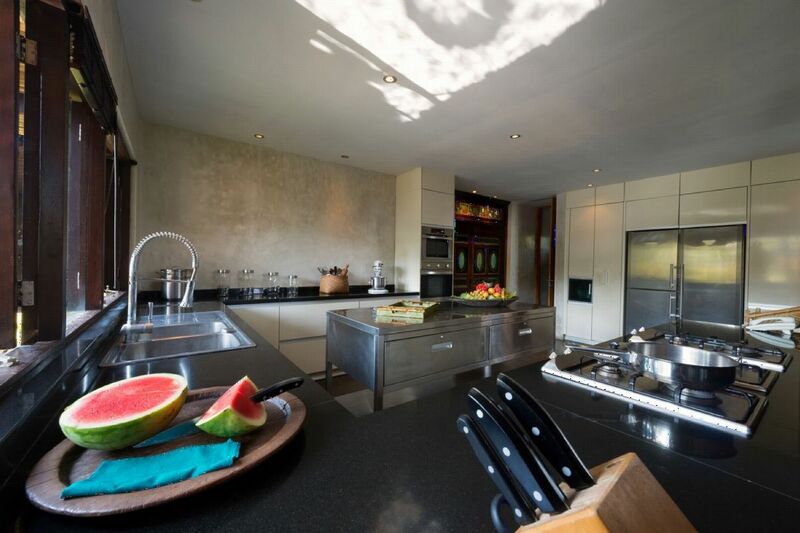 A villa in the "Garden of Peace"
The luxurious villa is located in the seaside and bucolic village of Cemagi. 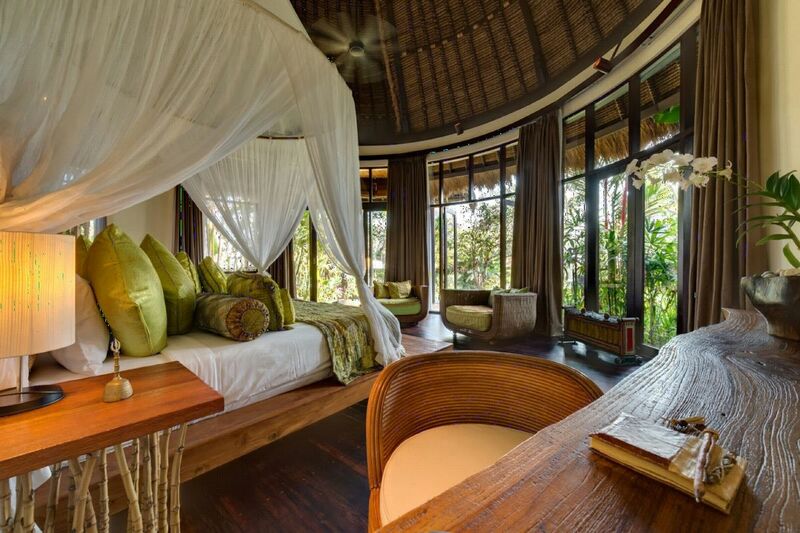 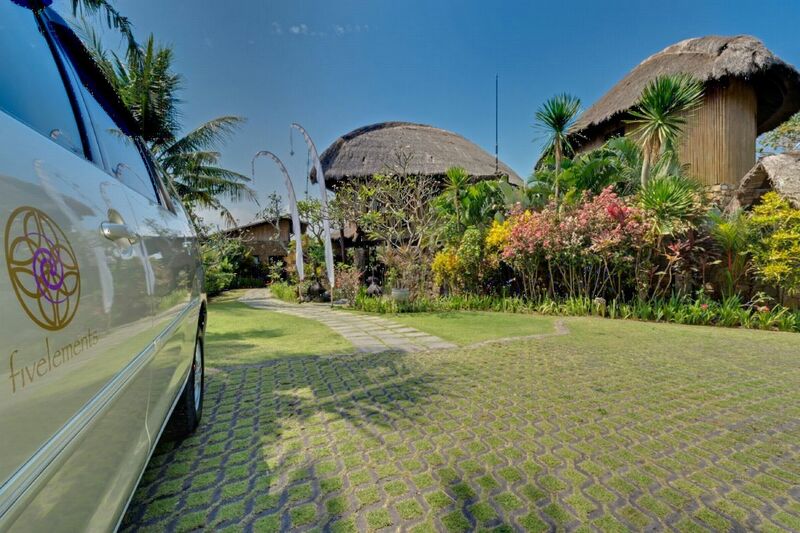 The villa is within walking distance of lush, green rice fields. 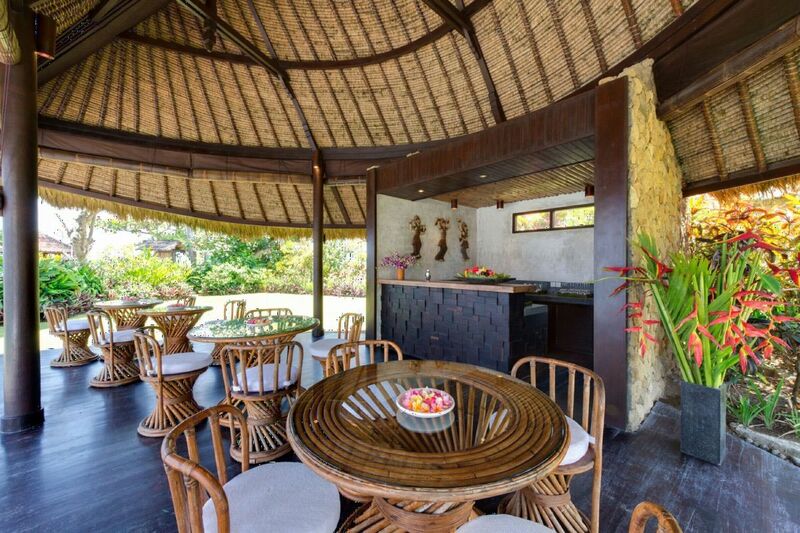 From the villa, you will have a clear view through the ocean to the incredible Uluwatu. 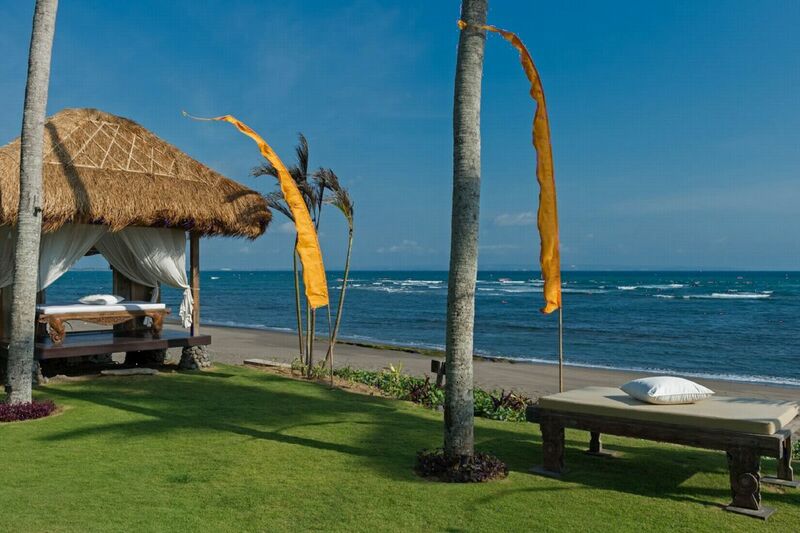 A few meters from the villa, you will quickly find the beach where you will relax on the warm sand. 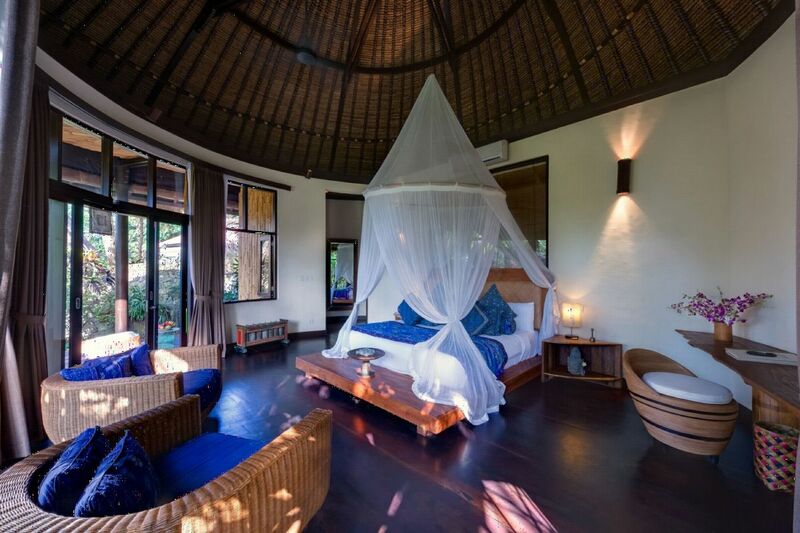 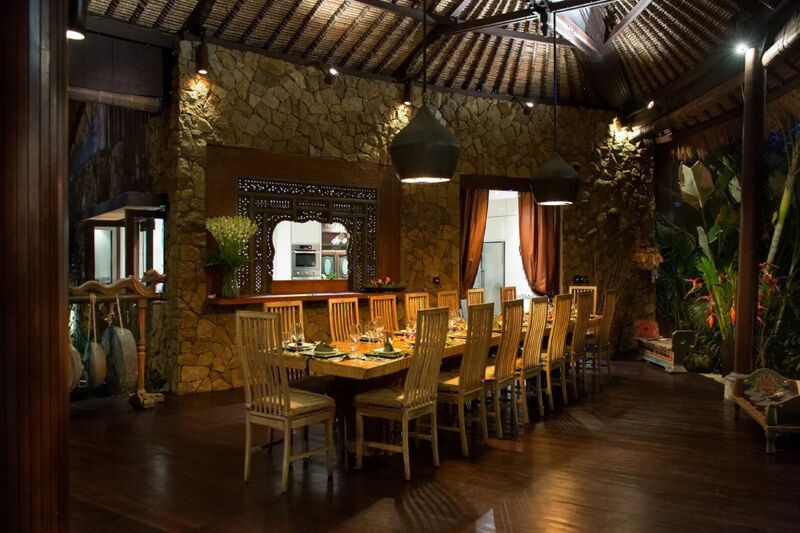 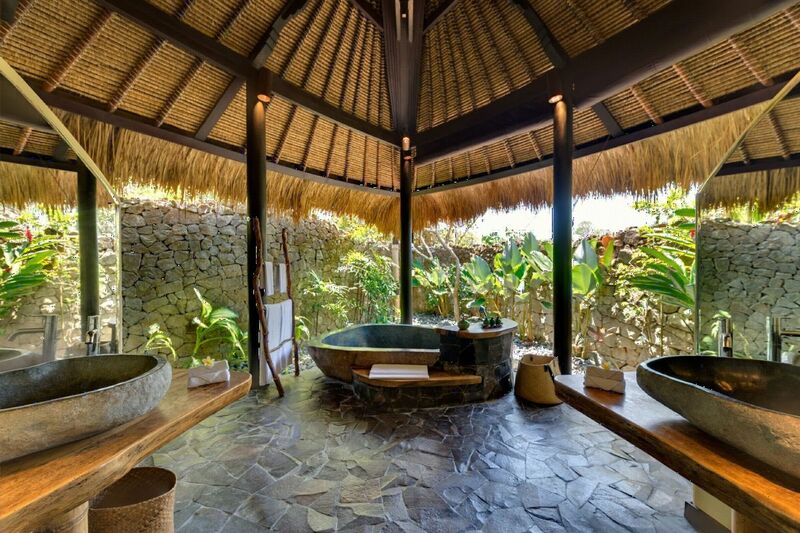 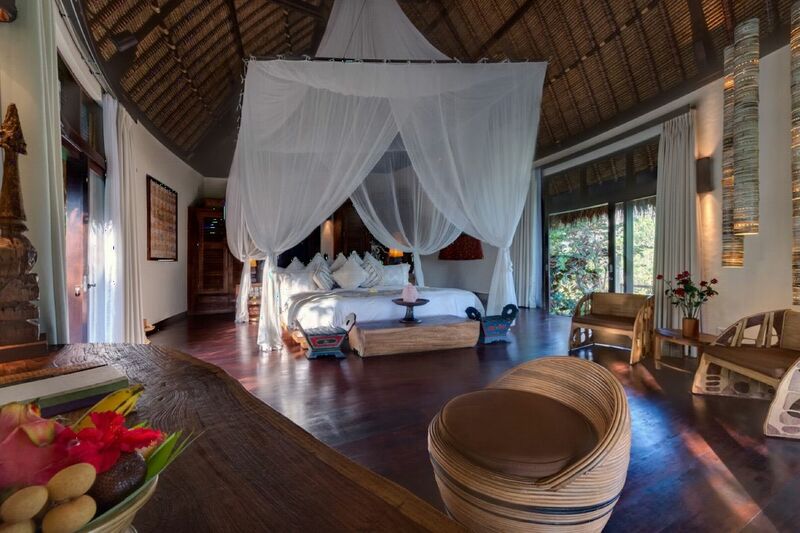 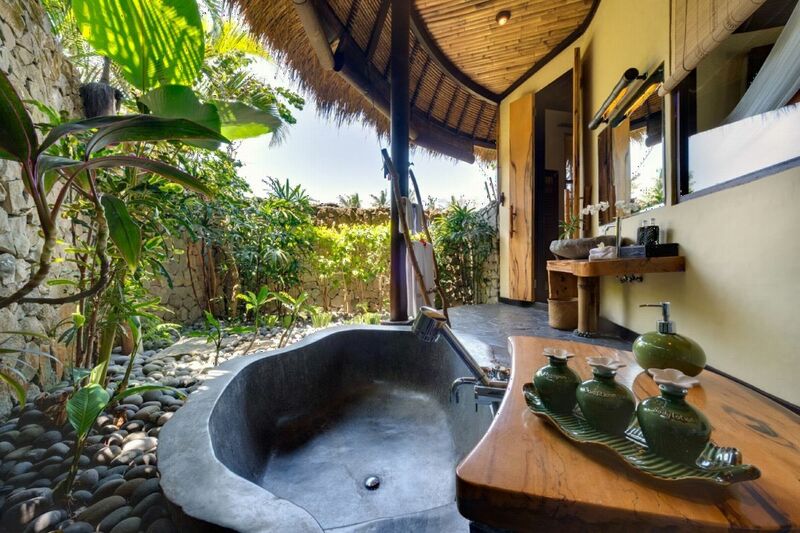 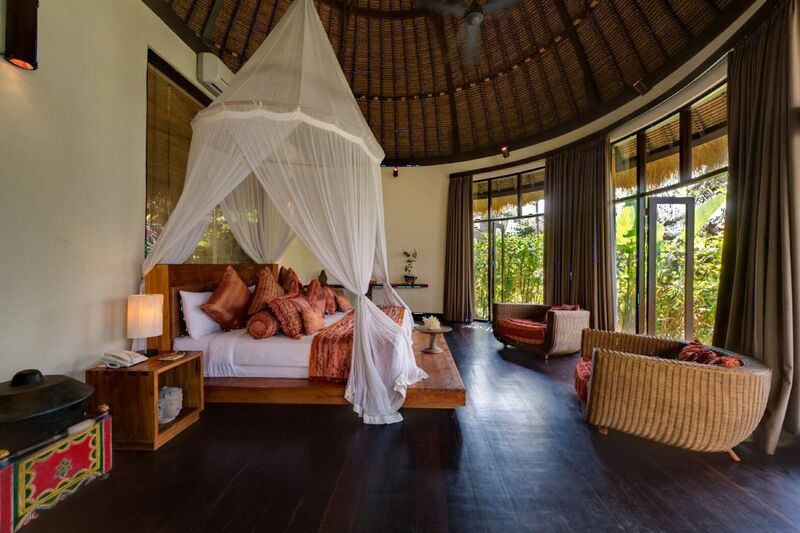 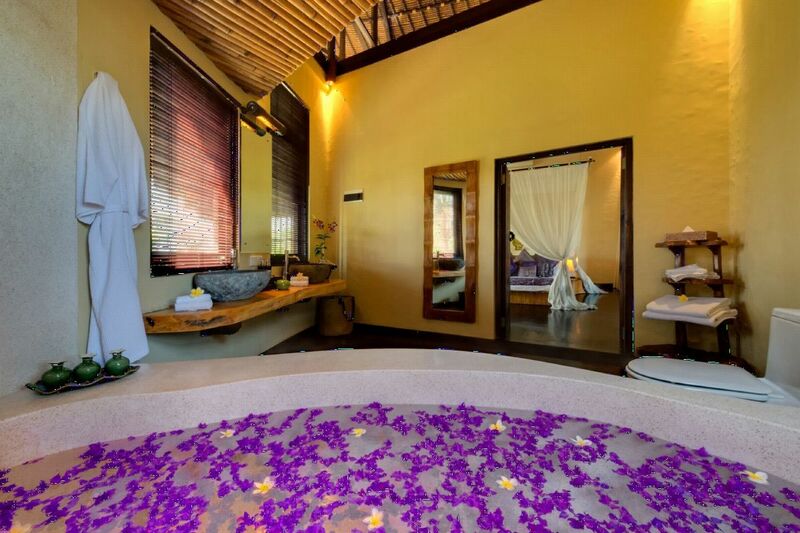 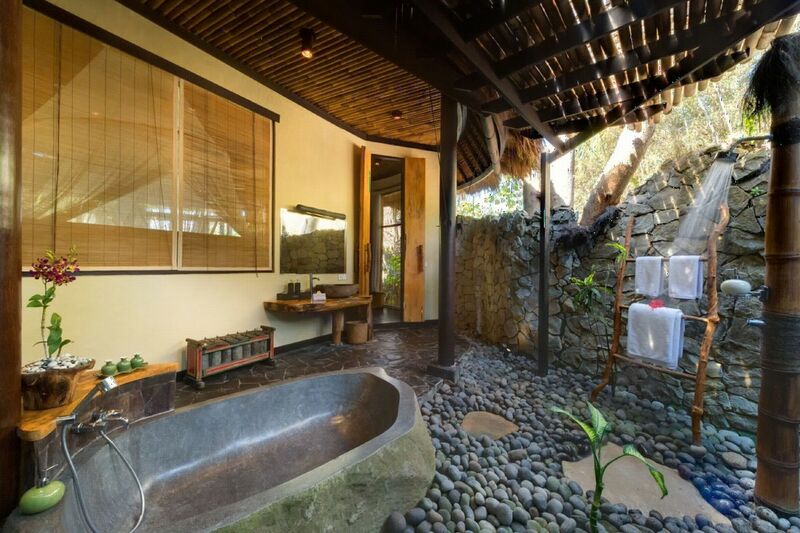 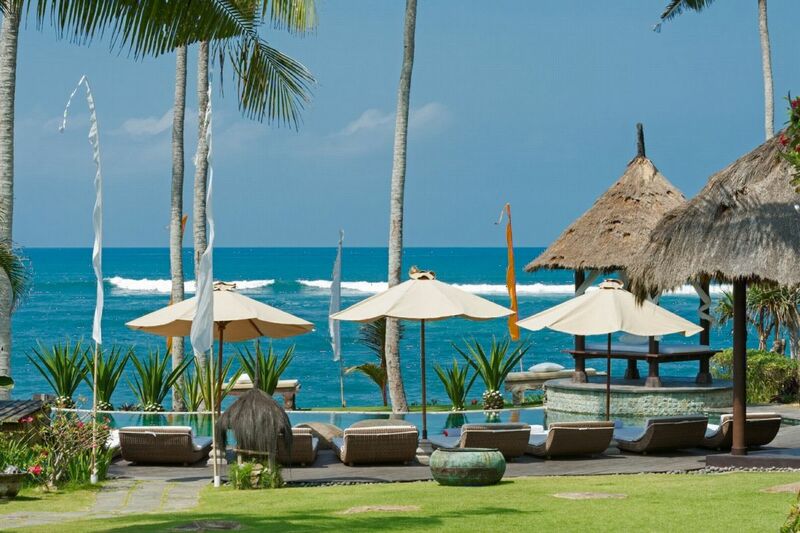 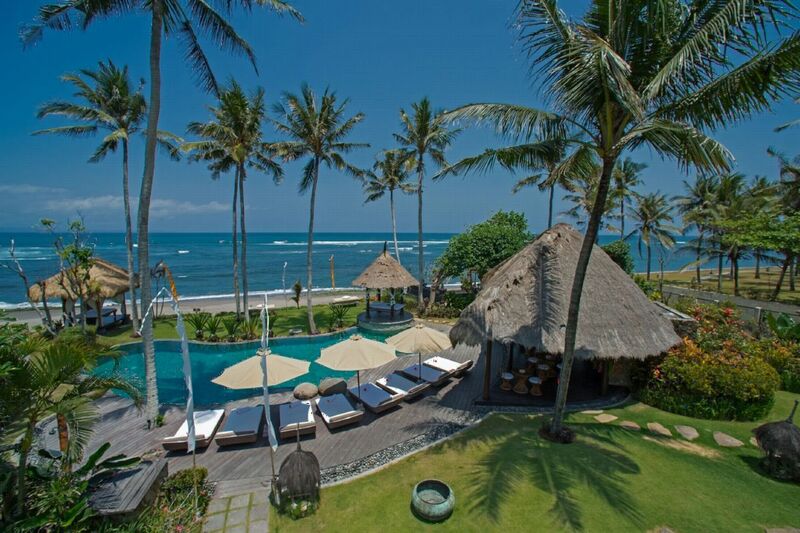 Unlike the crowded beaches of Kuta and Legian, you will enjoy the intimacy of this one. 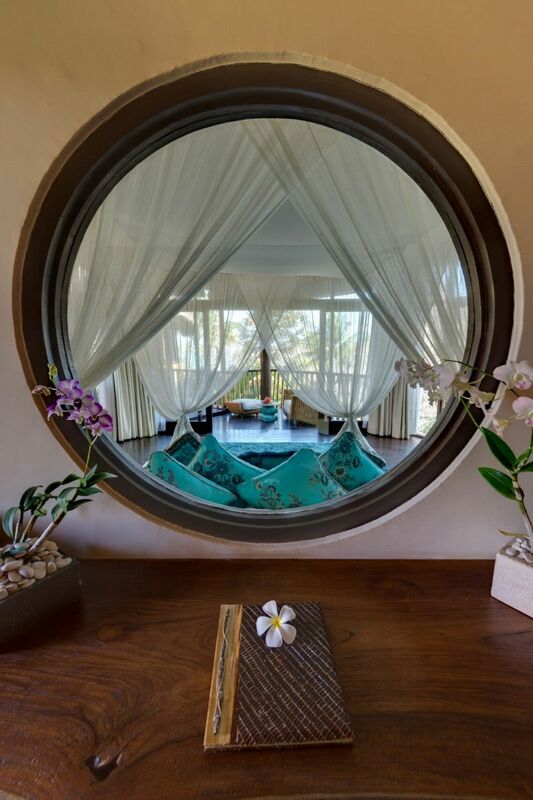 The entrance of the villa has been designed to represent a boat, with its traditional wooden bridge, in order to bring you to a magical oasis in the "Garden of Peace". 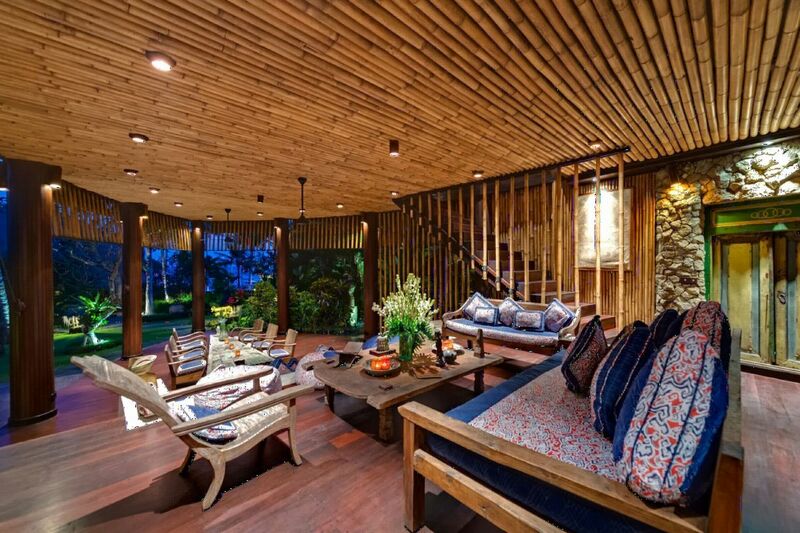 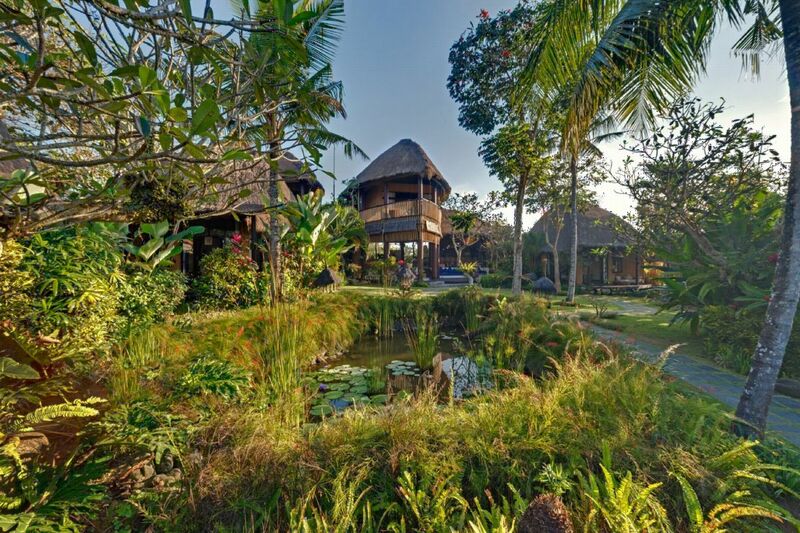 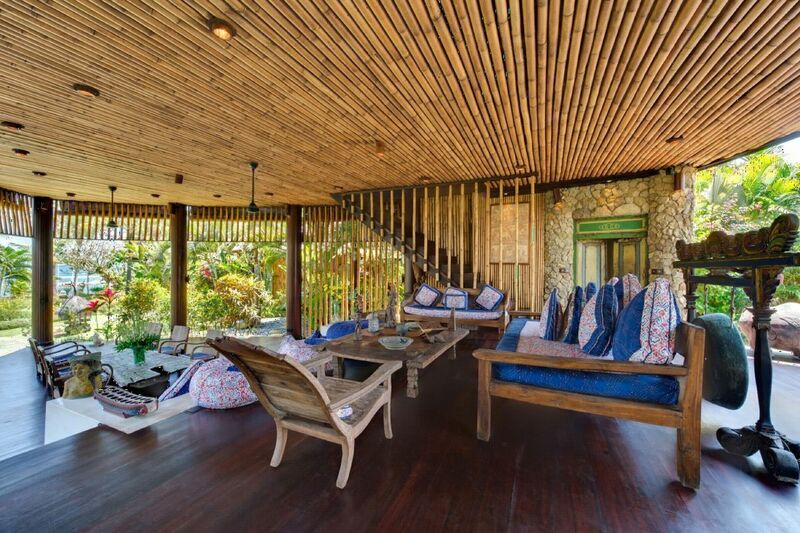 The use of organic materials such as alang-alang for the roofs, bamboo, wood, allows the villa to blend in with the natural landscapes. 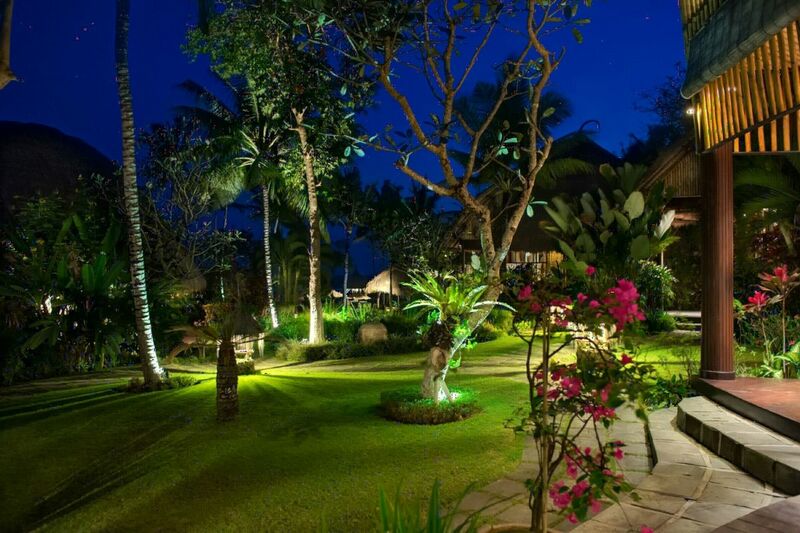 The lush gardens around the house have an abundance of coconut trees, colourful hibiscus, where you will enjoy the bird songs and the gentle sound of the waterfall, all this along the spectacular black sand beach. 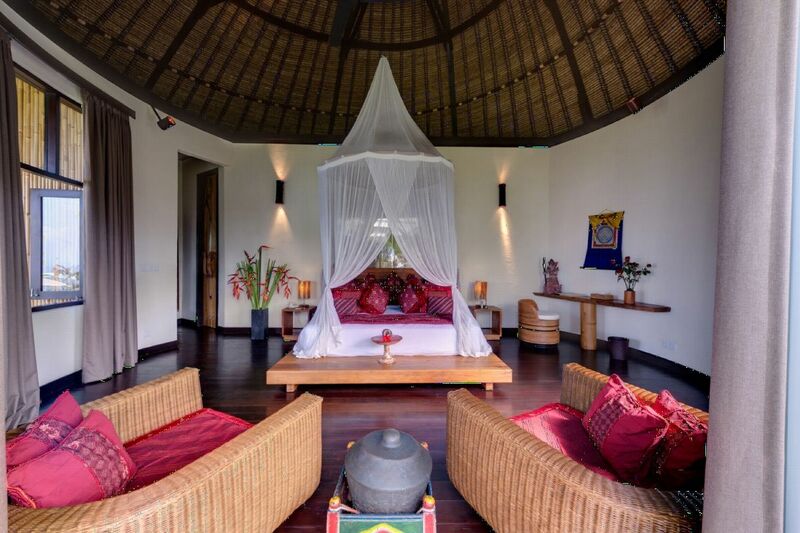 Inside the villa, a selection of Indonesian objects, fabrics from the hills of Ubud, give to the villa its charm and uniqueness.